Here’s what you want: Colorful, festive lights that decorate your house with dazzling illumination. Here’s what you don’t want: fighting with tangled strings of lights in the cold weather, only to have them not work after all the hassle. You’ve had enough of that, right? Holiday Party Smart is the answer. It’s a self-contained unit that projects beautiful, bright Red, Blue, Green, Purple, Orange and White lights onto your house. Holiday Party Smart stakes securely in the ground (or use the convenient flat surface base) and projects its light from a long-lasting LED dome. Its included remote control lets you select the color, motion, light sequence and set the daily schedule timer or control everything with the downloadable IOS or Android App. 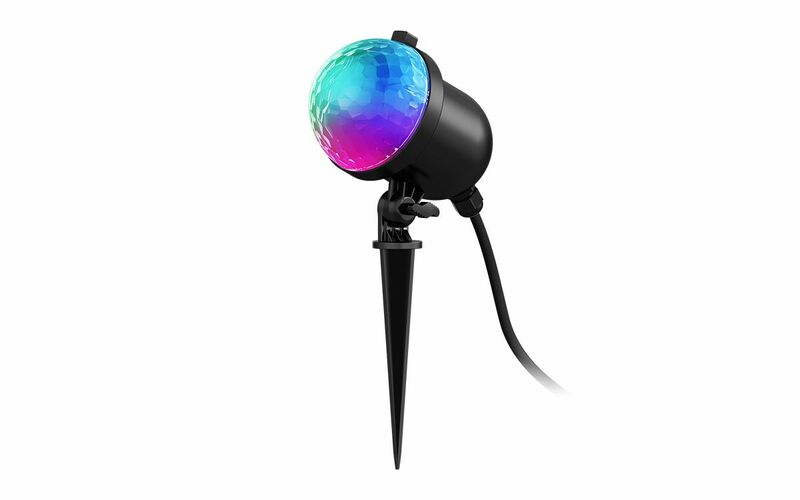 You can even wirelessly link multiple units together for a dazzling, synchronized light show. Best of all, it’s weather-resistant so you can leave it outside in the rain or snow. You’ll have the best-looking house in the neighborhood, and no one needs to know how simple it was! Click here to get the ION Holiday Party Smart App!